What If Someone Will Steal Your Passwords Tomorrow? Stop Using Passwords the Risky Way! 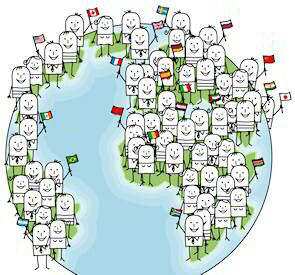 Trusted by Over 274,000 Daily Users! Are You Storing Passwords Securely? When you store passwords inside your web browser you probably don't know yet how insecure that is. If your computer is stolen, the thief can access all your "remembered" accounts easily. In Firefox, you can even take a look at all the websites and passwords in Program Options. And yet when you re-install your computer you will lose that data. Writing down your passwords, or even worse, storing them on a text file on your computer, is one of the most sure ways to put yourself at risk. Using the same password for more than one website is not a good idea either. Even well-known websites have had leaks. If someone gets your universal password, they can easily find and access other services you are using. All this makes remembering passwords hard, especially when they are secure (not containing a word from the dictionary or a name). Actually, there is a way to remember all your passwords easily and securely! 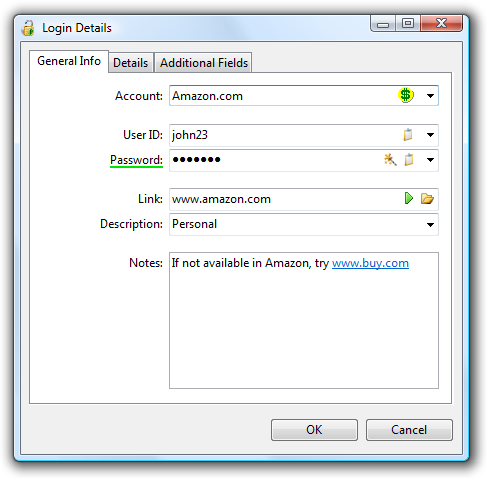 TK8 Safe is a perfect password storage software. It's designed to store any kind of sensitive information like passwords, credit card numbers, PIN numbers, etc. 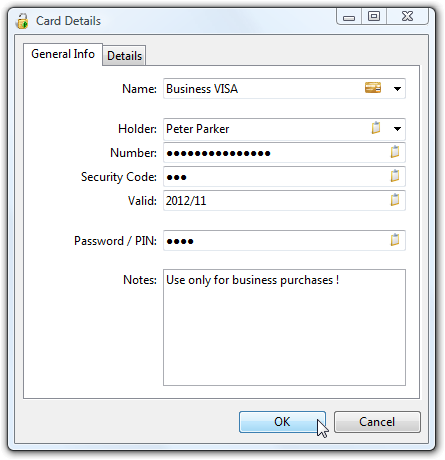 It was the first password software that introduced different data entry forms to keep different information more easily. and exceptionally strong passwords with random sequences of numbers, lower-case letters, upper-case letters, and symbols. 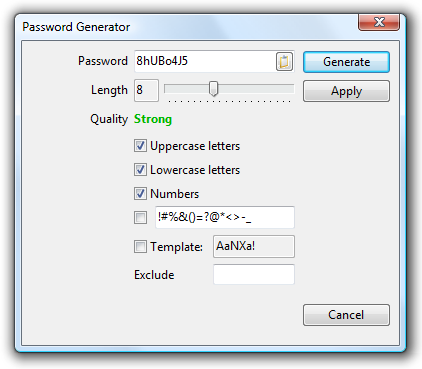 Creating such passwords is easy with the built-in password generator. The program uses top security standards so you can be sure that all the data stored is really protected and secure. TK8 Safe password storage software will keep them securely!